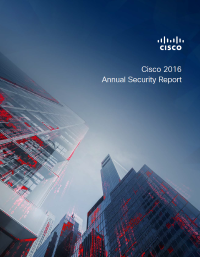 Download The Cisco 2016 Annual Security Report for a closer look at how security professionals should respond to threats. Online criminals are quickly gaining access to organization’s data and holding private information hostage. Integrated threat defense technologies can often halt major attacks before they affect enterprise networks.